Can Poor Posture Cause Arthritis? Posture, both good and bad, absolutely can have an impact on osteoarthritis. How does bad posture affect osteoarthritis? 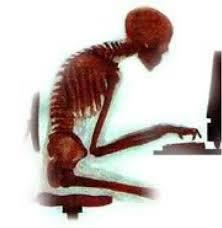 Chronic bad posture places abnormal chronic stresses on your body. Normally, the muscles protect the bones and joints. However, these abnormal stresses make it harder for your muscles to take the pressure off your joints-and your joints end up paying the price. For an easy example, consider your head and neck. Your head weighs a little more than 10 pounds – or slightly more than a bowling ball. Your neck is supporting your head 24 hours a day with only a brief rest when you lie down at night. Even with perfect posture, this is a lot to ask of your neck! Good neck posture mandates that your head rests directly above your neck. Poor neck posture typically consists of carrying your head somewhat forward in relation to your neck. This places an increased stress on your neck. A good analogy is carrying a bowling ball over your head. Carrying the ball over your head is what your neck does with good posture. Carrying the bowling ball 20 degrees in front of your head is a lot harder and your arm muscles will get more tired more quickly. What happens with increased stress on your neck from poor posture? The large muscles, and the smaller postural muscles, fatigue and the forces from your head and neck are translated through the small joints in your neck. This can lead to a change in your normal alignment over time. When your spine is not in normal alignment, this leads to greater wear-and-tear of your joints and, potentially, earlier osteoarthritis. If your neck already has osteoarthritis, then the poor posture can worsen the pain. It is the same with the other joints in your body. Poor posture (and poor alignment) increases the stresses they face, which increases the chances of them developing osteoarthritis. If poor posture increases the risk of developing and/or worsening osteoarthritis, can good posture cure osteoarthritis? Good posture may not cure osteoarthritis, but it will certainly help. Just as poor posture places increased stress on the joints in your body, good posture decreases those stresses. Good anatomic posture allows your muscles to work most effectively to unload your joints, take the pressure off them, and allow them a chance to heal. THINGS WORK BETTER WHEN YOU ARE IN PROPER ALIGNMENT. Good posture does not happen overnight. If you don’t already have good posture, realize that it takes steady, consistent attention and work. But the work is well worth it! While it may be difficult at first to constantly remind yourself to improve your posture, eventually you will find that your body begins to return to its good posture naturally and without as much effort and attention as in the beginning. Also, it can be quite challenging to correct posture at first if you are not in proper alignment or if you have lost normal flexibility of your spine. 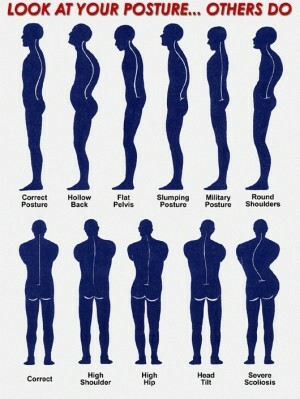 Correcting your posture in conjunction with a program of regular chiropractic care can greatly assist with the process. 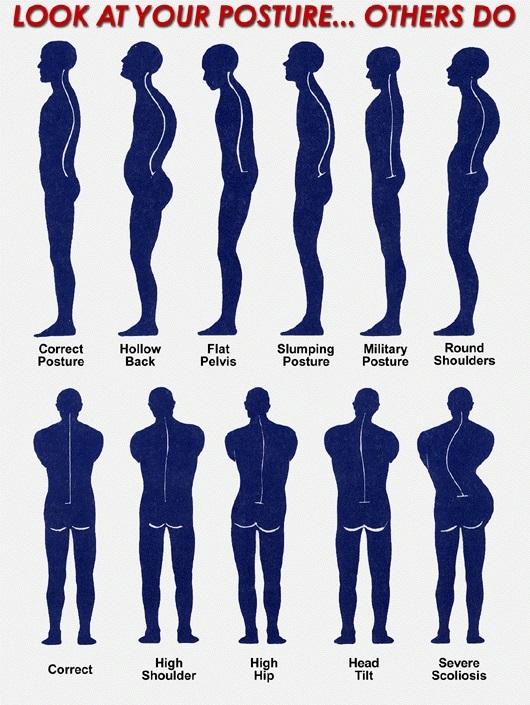 How important is posture really? The next few blogs will deal with how posture is connected to areas of your health you wouldn’t even realize, such as your mental state!